On March 8th, 2018, I was invited to MeatHeads Steak + Burger Bar, a relatively new and much-needed addition to Downtown, London, located at 691 Richmond St, London, ON. Having been previously located in the East end of London, MeatHeads Steak + Burger Bar made their move to the downtown core only months ago, to offer a new and inviting experience for Londoners. Throughout this blog i'm going to share my thoughts on this all out meat lover experience. 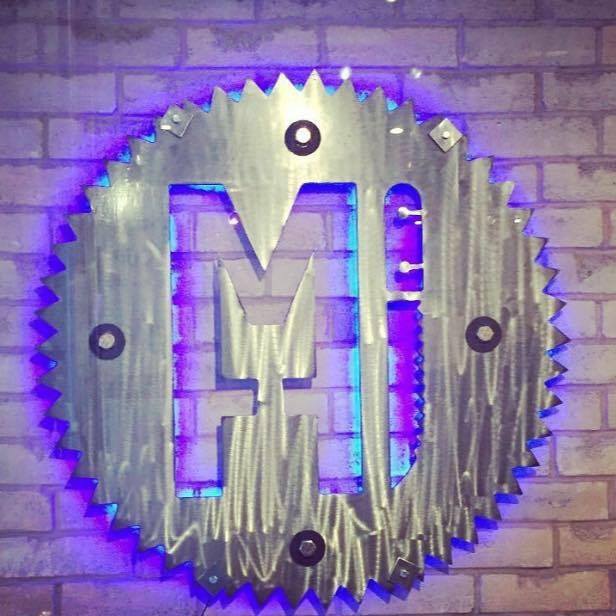 Let's start off with the environment, as you walk into MeatHeads Steak + Burger Bar you're greeted by a warm and inviting industrial design which included exposed brick, wood and metal elements throughout and exposed ceiling vents. The environment on the bar side would allow for a fun night out while the dining side would be perfect for date night. Music playing wasn't just the top hits, but rather a good variety of genres and at the perfect volume. The serving staff were friendly, fun and dedicated to making sure the experience is exactly as it should be. Okay so now the best part, what did I think of the food? The menu had an incredible variety of sandwiches, burgers, steaks, sides, desserts and more. While I wanted to order the entire menu, I actually went with MeatHead's Finest which is a sandwich served on a fresh ciabatta bun with savory brisket, pulled pork, homemade mango BBQ sauce, maple candid bacon + provolone. Every sandwich has a choice of daily soup, house salad or fries as a side dish, of course I went with fries! The MeatHead's Finest Sandwich was a winner for me and the quantity was perfect especially for someone like myself who is never full after eating at a restaurant. The taste was unique to MeatHeads and like nothing I've had before. With the homemade mango BBQ sauce, the sandwich was both sweet and had a slight spice, which balanced the mouth watering pulled pork and savory brisket. The bacon inside was so delicious that I was close to ordering a side dish of it (if that's a thing). After the sandwich I couldn't resist ordering, well, everything on the desert menu. I had the tiramisu, cheesecake and baklava which are all made in house. My personal favourite was the Tiramisu which was by far the best I've ever had. Overall, my experience at MeatHeads Steak + Burger Bar was a positive one, and this restaurant is definitely a much needed addition to Downtown London. Whether you're out for a good time or a classy date, MeatHeads Steak + Burger Bar has you covered, it also helps if you're a meat lover. Check out MeatHeads Steak + Burger Bar on Instagram, Facebook or their Website.